It has been a hectic opening few weeks at Rugby Town’s new Academy of Football, after the club announced the launch of their full-time football/education BTEC scholarship programme for 16-19 year olds at Butlin Road. Academy boss Liam O’Neill has appointed former Valley player Will Grocott as his Assistant Head of Coaching, with Andy Weir also joining as the Academy’s Sports Therapist. A successful first open trial date was held a fortnight ago and a number of young scholars have already been inducted onto the programme - which is being run in conjunction with education group Morthyng Group. A further exciting development has seen confirmation that international news agency Reuters are to film the academy in action at Butlin Road as part of a documentary for Chinese television. O’Neill is understandably delighted with the way the project has kicked-off. Focusing first on the arrival of Grocott, he said: “Will was always a young coach that I have admired over the last three or four years.Having watched him work, he has a fantastic way of conversing with young players and is very innovative with his sessions. “I have also coached Will during my time at Stratford and know how much ability he has as a player. Having the tools to show what you want players to achieve is a huge asset. The moment you can demonstrate to youngsters that you can do it, the respect is instantly there. 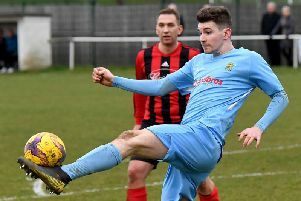 Prior to his spell at Stratford, the former Aston Villa trainee Grocott spent a season at Rugby where he started 52 games in the 2014/15 season, and the 26 year-old has also had coaching experience in both Spain and Canada. The Reuters documentary will interview the coaches and players involved with the new Academy of Football focusing on football academies in England, as well as looking at coaching roles and how youngsters are nurtured and developed. O’Neill was looking forward to the opportunity: “When I was contacted last week regarding this I jumped at the chance straight away. “We are all so excited and it is a fantastic opportunity to showcase what a wonderful facility we have at Butlin Road.